The boardwalk and former casino in Asbury Park, NJ. Right in time for Memorial Day Weekend, the Jersey Shore just received a major compliment from Money magazine. In its ranking of the best beaches in the United States, Monmouth County's Asbury Park came in at number two. Looking for fun after the sun goes down? The Stone Pony, one of the area’s biggest music venues, puts on an annual Summer Stage concert series. (This summer’s lineup includes New Found Glory, Boy George and the Culture Club, and Billy Currington.) Restaurants and shops are open late for the monthly “First Saturday Asbury Park.” Swing by Asbury Festhalle & Biergarten for a beer (over 50 on tap) or take in the sunsets from the rooftop bar Salvation (part of The Asbury hotel). The high ranking is a testament to Asbury Park's turnaround story, which has seen the town emerge as an arts and culture hub true to its roots as the launchpad of Bruce Springsteen's career. 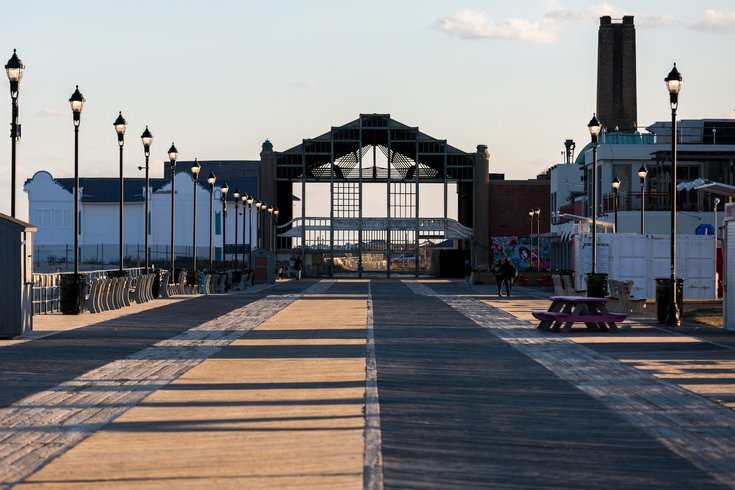 In recent years, Asbury Park has been called America's "coolest small town" and was recognized in 2017 for having the best new hotel in the United States, as noted above. In making its selections, Money also took into account the cost of getting to and staying at each location. They found the average airfare was $293, the average hotel night was $185 and the cost of a week for two was $2,676. Check out their best 14 beaches in the world here.